Spec Your App Idea for Free. Hello, Hackers! Interested in building a custom app? Spec your idea for FREE then let the most powerful AI + human engineering team build your product. The future of building software starts with you. Automated Software Development for everyone. No more hidden costs, no more change fees, no delayed projects. It’s the new way of #buildingthings. Finally, everyone can build & operate software independently. 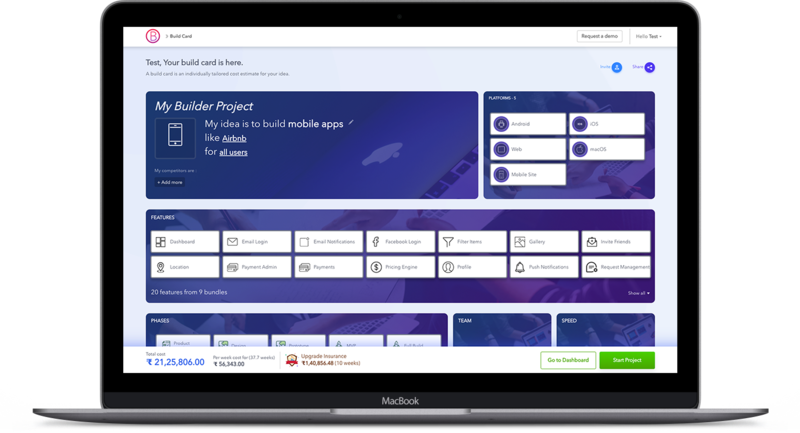 Builder is a rich interactive platform that lets you spec, price + build a custom product without any coding knowledge. Spec your idea by choosing features, platforms, pricing and a timeline that works for you. Builder is your project management dashboard. Manage the entire end-to-end build process while our AI automates repeat code + your dedicated human team customizes integrations, design & business logic to deliver your customized product. Always on time. Always on budget. We've built an extension that brings together automation, financial control and transparency for managing your cloud infrastructure. Our tool automates migrations, backups, monitoring & autoscaling. 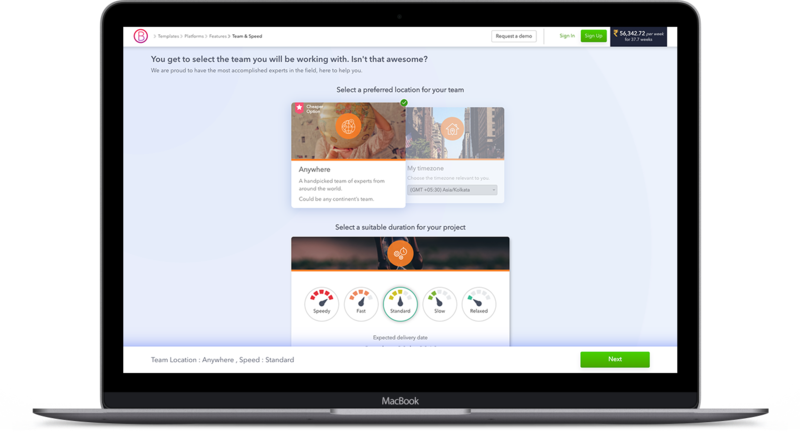 An online platform for building software using AI & a marketplace of teams. Easily operate and optimize your cloud environments. CloudOps is an extension that brings together automation, financial control and transparency for managing your cloud infrastructure. We’re putting the creative power back in your hands. See how we reveal the process and cost behind every aspect of development. Watch how easy its is to build your idea. Interested in building a completely custom app? Let the most powerful AI + human engineering team build your custom product. The future of building software starts with you. No more hidden costs, no more change fees, no delayed projects. It’s the new way of #buildingthings. Finally, everyone can build software. We've built an extension that brings together automation, financial control and transparency for managing your cloud infrastructure. Let our AI automate migrations, backup, monitoring & auto scaling. Creative Freedom in Your Hands. We’re putting the creative power back in your hands in with our super intutive and easy building tools.We reveal the process and cost behind every aspect of development. Everything boils down to a simple set of questions & options. Spec your idea free of cost, on your own time and without any pressure. Our extensive library of ‘feature components’ applies code that’s already been written and a vetted community of global human talent. Specify Your Timeline & Timezone. We pick the best possible human team to work on your idea. A world class product team that’s self organized by our AI to ensure on-time delivery. Introducing, your Build Card. 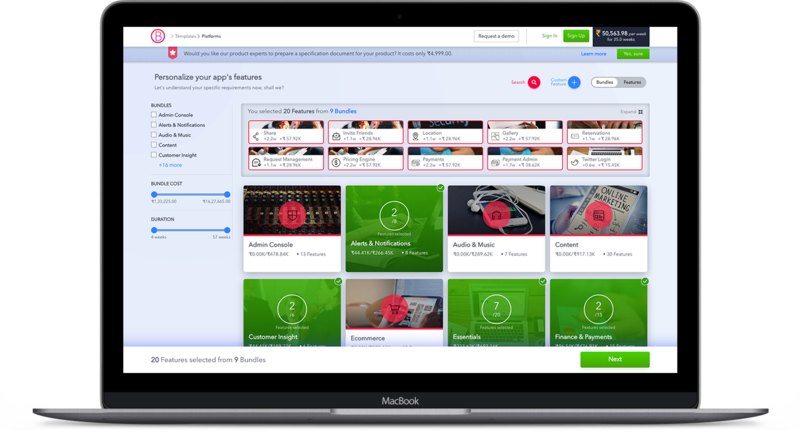 Save your project to see transparent pricing upfront and a development timeline guaranteed. Intelligent Infrastructure Services reduce the time spent on tedious maintenance work; from AWS Migration Service (move or copy between availability zones with a one click “machine-managed” migration process) to Backup-Monitoring and even Autonomous Auto-Scaling Setup. Upfront Cloud Wallet ensures you never overspend on your account. Track your usage in real time while it predicts when you are likely to hit a threshold. Never overspend or run the risk of using your credit card.